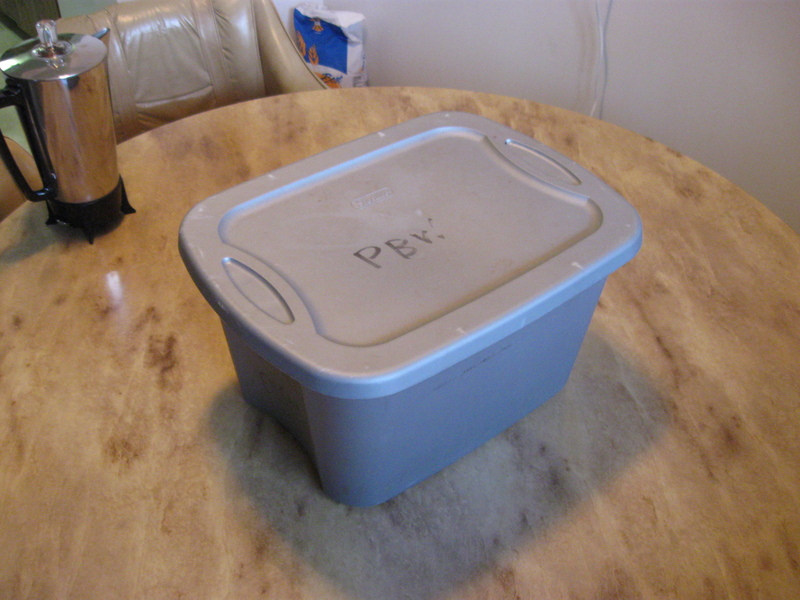 Here is the actual workstation I use to bring you fresh weeklyish five gallon ideas. 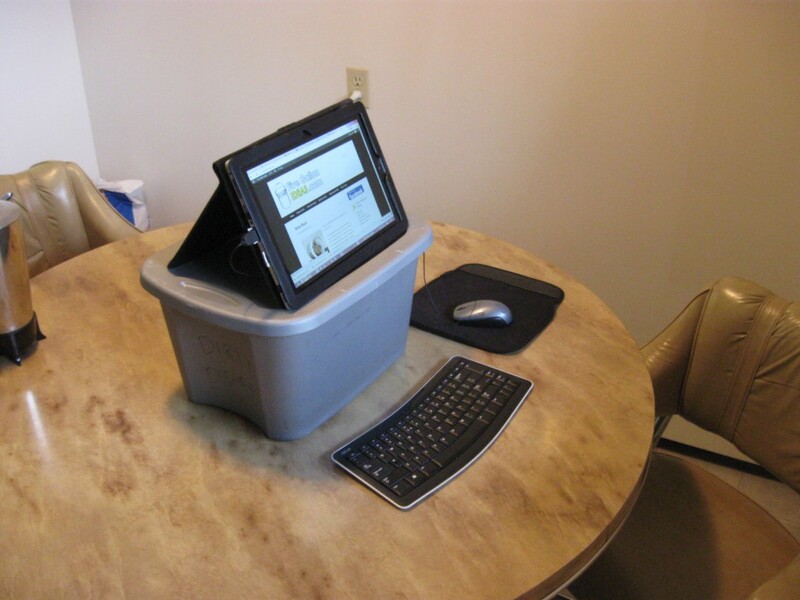 Regular readers will recognize the short and wide five gallon bucket as the same one from the toilet stool article. Its new job is to raise the height of my tablet computer, making it much more comfortable to use. 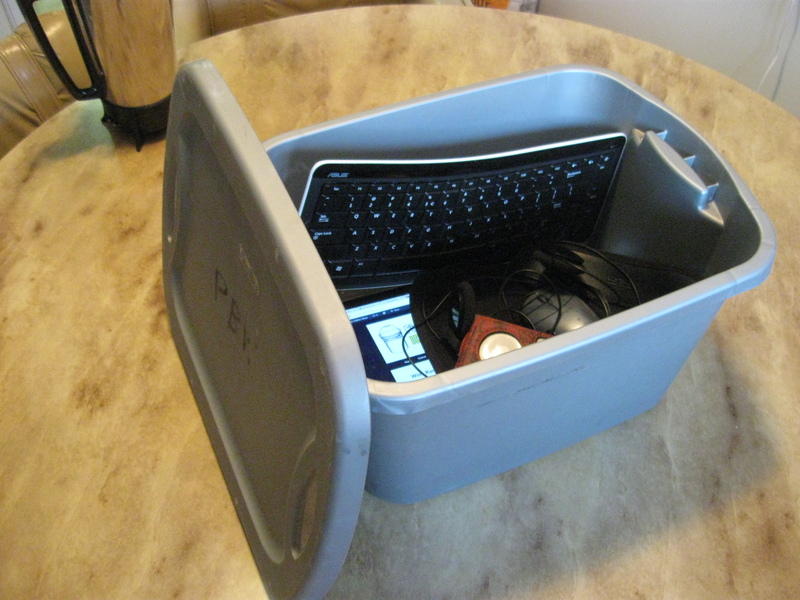 When I’m done working, everything fits snugly into the bucket for easy storage or relocation. As you can see, we’ve still got tons of room to spare. Soon I hope to outfit this bucket with a power strip so it can act as a “charge station” for all of my mobile electronics. On the off-chance I follow through, I’ll write about it. Update: A reader asks what type of computer this is. It’s the fancy-pants Asus Slate EP121. The case and the keyboard come free with the computer. The bucket does not. Update 2: I’ve created my charge station and integrated it with a new five gallon computer. It’s the new windows tablet from Asus, called the Slate I think. I’ll provide a link in the article.